With mobile devices being used extensively by people to carry out their communication, information search and purchasing activities, it is imperative that you have a well-designed e-commerce site for mobile devices. In fact, Interactive Advertising Bureau (IAB), U.K in 2013 brought out that more than 10% of e-commerce website traffic comes from people using tablets and that this traffic shows more conversions than what’s coming through desktops. Homepage should display everything about your site at a glance. When visitors reach the home page, they must be able to quickly navigate to the sections they want. Do not cram too many items into this page as the mobile screen is small. Instead offer a good search facility and a swipe-able image gallery through which visitors can easily find what they want. Convenience makes visitors enjoy browsing and it motivates them to make a purchase instantly when they like a product. The quality of product images matters a lot. Your store’s product photographs should be re-engineered to suit mobile and tablet devices. When you use images optimized for the retina screen, the site gains higher conversions than when you just use thumbnails. Furthermore, your mobile website should load the pictures fast so that users can quickly see what they want and proceed to make a purchase. The mobile website should be designed for fast interaction. When users click any product they should be able to instantly retrieve it. Make use of large buttons that makes accessing product details fast. Any product image is an object that should be brought forth with a simple tap. In case of the call to action buttons, they must be large and assist users in completing their action quickly. In short, the easier the interaction with your mobile site, the more attractive it is to users. Every product has specifications such as size, colour etc. How can you make it easy for users to shop when they have so many options on a product? The first thing to do is capture interest to purchase from the user. After they click the ‘Buy Now’ button, you can proceed to ask them about the other product details. Keeping the number of taps as small as possible retains user interest and helps them proceed quickly to purchase. The web design should not put items suddenly into the shopping cart with a light tap. This can be distracting because the user may want to browse further before deciding. The ‘Buy Now’ button should be clear and do its action only when it is sharply touched. Keep the payment process easy, such that it can be completed in just two steps. People go to the help section of your site because they are having problems in using it. 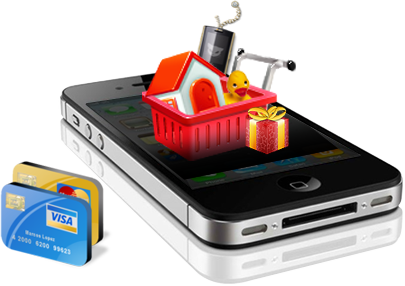 Many mobile e-commerce sites ignore this, but it is vital to address it. If a user is having a problem with checkout, directing them fast to the help section will assist them in finding what they want to complete their purchase. Do not give them a desktop version of your help page. Give them a version specifically meant for mobile devices so that they easily find what they want and finish their purchase. The colours, icons and fonts used in your mobile site should be the same as your website. Giving a unified experience across desktop and mobile inspires loyalty and trust from users. It enhances shopping experience and brings about good conversions. Having the right design elements in your mobile e-commerce site will popularize it and gain good conversions for your brand. Experience the power of ‘mobile reach’ by designing a site exclusively for mobile devices and gain the kind of customers and sale figures that you really want. How Cloud Hosting Can Be Used For CRM?